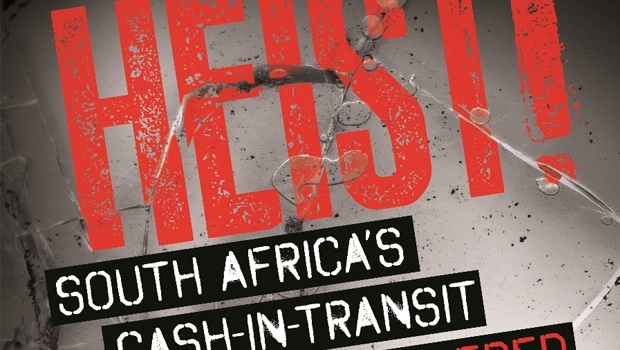 Below we feature an excerpt, published with permission from Penguin Random House South Africa, from journalist Anneliese Burgess’s investigative book, Heist, which delves into South Africa’s cash-in-transit scourge. To say that South Africa is in the grip of a vicious new incarnation of its cash-in-transit plague is an understatement. The statistics tell the story. In 2014 there were 180 CIT incidents; in 2017, there were 370 – a staggering 105 per cent increase in just three years. CIT robberies have long been a feature of the South African crime landscape. According to police crime statistics, CIT crime hit a peak in 2006, with 467 reported cases. It dropped off dramatically for some years, but fast-forward twelve years, and we are back in crisis mode. CIT robbery is an out-of-control crime epidemic for which there seems to be no cure. If the current trend continues in 2018, we will reach the peaks of 2006 again. It is, without a doubt, a national crime emergency. While the crime itself hasn’t changed, there are two mutations driving the present scourge. A virulent new strain of vehicle-on-road attacks has emerged. Gangs attacking cash vans have added commercial explosives to the already lethal arsenal of ramming vehicles and high-powered automatic firearms. More and more cash vehicles are being blown up to access the money in the onboard vaults. The epicentre for attacks employing this new methodology is in North West, Limpopo, Mpumalanga and Gauteng provinces. ‘It’s no coincidence,’ says police-man-turned-lecturer Hennie Lochner. ‘These are mining areas, and not only do mines use explosives, but they also train people to use them. The explosives are coming from the mines and so is the expertise. While big-value cash-centre heists and daring highway robberies still make headlines, either because they are shockingly violent or because they involve large amounts of money, the really worrying mutation in CIT is altogether more pedestrian: the massive surge in cross-pavement robberies, which now account for 50 per cent of all CIT crime. There has been an alarming increase in robberies at pension payout points and ATMs, and the majority of CIT cases now involve hitting guards as they deliver or fetch cash. Cross-pavement robberies increased by 48 per cent from 2016 to 2017. Once mainly concentrated in the cities, this deadly plague has now spread to every corner of South Africa: small towns, roadside garages and suburban malls. A situation where armed guards are pitted against armed robbers in close combat is a recipe for bloodshed. Once again, the statistics paint a grim picture. Fatalities in cash-in-transit-robberies increased by 70 per cent in 2017, with the majority of these related to cross-pavement incidents. In the course of writing this book, I viewed many hours of security camera footage of cross-pavement and ATM robberies, and the defining feature is their callous, brutal violence. Two cases illustrate this chilling reality. Exhibit 1 is at an ATM at a roadside garage somewhere in KwaZulu-Natal. The flickering, silent black-and-white images show a guard in a bulletproof vest walking into frame, pulling a cash bag on wheels. A man, making no attempt to hide his identity, walks up behind the guard, lifts a pistol to the back of his head and shoots him execution-style. The guard crumples to the ground. The shooter bends down for the cash bag, and shoots the guard in the head again. Then he saunters out of frame, cash bag in hand. Exhibit 2 is from the closed-circuit camera of a supermarket in Ncgobo in rural Eastern Cape. We see a guard walking towards the camera, cradling a semi-automatic weapon. It’s a busy scene, with many people milling about. A man in a red hat walks up behind the guard and shoots him in the back of the head at point-blank range. This modus operandi now repeats itself, somewhere in South Africa, at least once a day. There are cross-pavement cases that don’t end in people being killed or injured, but every single one is an armed hold-up – often with multiple robbers brandishing weapons. Cross-pavement robberies are the dark heart of South Africa’s current CIT problem. Trying to get an accurate picture of South Africa’s crime statistics is a slippery exercise at the best of times. The annual figures issued by the South African Police Service are widely considered to be massaged to achieve best-case scenarios for the various crime categories, rather than a granular dissection of crime trends. Police stats are also not particularly useful for understanding the scope of CIT crime, as many cases find their way into other categories – business robbery, armed robbery or even murder – depending on how the crime is defined and captured. The only other source for CIT statistics comes from SABRIC, an organisation established by South Africa’s big banks to monitor and analyse fraud and crime in the banking sector. SABRIC refused to provide me with an overview of CIT statistics, but in 2017, the min­is­ter of police reported that there had been 152 cash-in-transit heists between April 2016 and March 2017. READ MORE: Who will rules SA in 2019? A media report based on information from a leaked SABRIC document, however, puts the industry figure at 409. 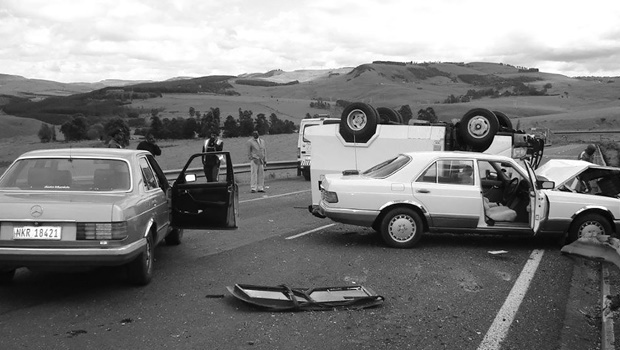 SABRIC issues a monthly analysis of all cash-in-transit robberies in South Africa. This ‘strategic and tactical analysis report’ is restricted information that is provided to all stakeholders in the sector. Every CIT incident – from ATM bombings to vehicle-on-road attacks – is logged according to date, time and location. The monthly reports run into many pages. For a snapshot of the ‘new normal’ in CIT crime, I extracted a random day from a 2017 report that was leaked to me. A cash crew, in an armoured vehicle (AV), is on its way to deliver cash when they notice a suspicious white car tailing them. As they approach a speed hump, the vehicle tries to overtake. A Mercedes-Benz and a silver Audi A4 join it. All the cars are filled with men wearing balaclavas. They open fire on the AV and it is forced to stop. 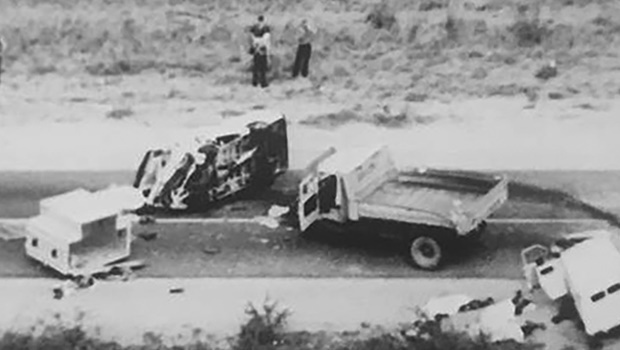 The crew is ordered out of the AV and made to kneel in the road, while the perpetrators use explosives to blow up the AV and gain access to the onboard safes. The perpetrators flee the scene with the cash and the three firearms that were taken from the crew – a 38 special, a BXP 9mm and an Arcus 9mm. A crewman is returning to the AV with a Cross Pavement Carrier (CPC) after conducting a Stop Loss service. He is confronted and assaulted by three armed men, who take his firearm and the CPC containing cash bags. The perpetrators flee the scene in a dark BMW with the money and stolen gun. The driver in the AV fires several shots at the perpetrators. The CPC is activated but is not recovered. A crewman is returning to the AV with a CPC after conducting a Stop Loss service to replenish an ATM. He is attacked by two armed perpetrators. They take his firearm and force him to relinquish the CPC at gunpoint. The perpetrators douse the CPC with water before fleeing with the stolen firearm and the CPC. They fire shots as they flee the scene in a silver BMW. The CPC is activated but is not recovered. A crewman is en route to his AV after conducting a Stop Loss service with a CPC. Two perpetrators armed with two 9mm pistols and an AK-47 accost him. They take the CPC, containing cash bags, at gunpoint. The perpetrators flee in a black VW Polo in the direction of Pietermaritzburg. A crew arrives at a liquor store to collect cash. As the guard leaves the cash office, he is held up by four armed men who take the cash bag and his 9mm Norinco. They flee the scene in a white Mercedes-Benz and a hijacked BMW. A crewman returns to the AV after conducting a collection. Four armed men accost him as he leaves the Cash Office. They take his firearm and the Shock Trolley containing the cash bags. A fifth perpetrator is waiting in the getaway vehicle, a silver Hyundai. The gang opens fire as they make their getaway. The crew in the AV returns fire through the gun port of their vehicle. Two crewmen are en route to replenish an ATM when they are confronted by four armed perpetrators who relieve them of their guns and the CPC containing cash. The perpetrators flee on foot with both firearms and the CPC. They fire several shots as they flee the scene. The CPC is activated but not recovered. Nine hours. Seven successful armed hold-ups with criminals making a getaway with cash and stolen guns. It’s a sobering picture of how insidious CIT crime has become in South Africa and, more importantly, how easy. At the end of every entry in SABRIC’s rolling log, four key observations are made regarding shots fired, injuries and/or fatali­ties, cash loss and arrests. This, according to every specialist in the field, is what drives CIT crime in South Africa: it’s easy, lucrative and low risk. Arrest rates are low. At the end of November 2017, when I was trying to gain an overview of arrest and prosecution rates, SABRIC provided me with the following information: they had recorded 330 CIT cases that year; at that point, arrests had been made in only twenty-six of those cases. Investigations are, of course, ongoing – and arrests often happen long after a crime has been committed – but, even if you take this into account, it is unlikely that the arrest rate would rise significantly above 10 per cent. The odds of a successful prosecution, we know, are even lower.